Historians (and sometimes political scientists) are surveyed and asked to give Presidents of the United States number ratings on their overall performance or on different aspects of their leadership. Several different factors are considered in deciding what makes one a good or bad president. These include their character, their vision for the country, their relations with congress, their relations with foreign leaders (diplomacy), how they managed the economy, how they managed the military, and their overall political skill. To make sure the rankings are fair, many surveys equally balance the opinions of liberal Democrats and conservative Republicans. It is sometimes difficult to accurately rank a president because all of the presidents faced completely different challenges and lived in different times. Historical opinions of U.S. presidents often change over time. For example, Harry Truman had very low approval ratings right after he left office, but many historians now consider him among the greatest presidents. 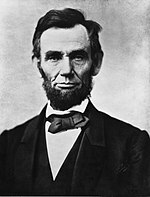 Abraham Lincoln is rated as one of the best Presidents for his leadership during the American Civil War and his eloquence in speeches such as the Gettysburg Address. Some presidents have mixed ratings. For example, Andrew Jackson is considered to be a leader who stood for the common man, but at the same time historians criticize him because of the Indian Removal Act. Ulysses S. Grant is thought to be a bad leader since he hired corrupt friends for government jobs, but at the same time he helped African-American to have more rights in the Reconstruction Era. Another example is Lyndon B. Johnson, who passed civil rights bills and President during the Great Society, but also escalated the Vietnam War. Jimmy Carter, Chester Arthur, William Howard Taft, Benjamin Harrison, Calvin Coolidge, Herbert Hoover, Rutherford B. Hayes, Martin Van Buren, and Richard Nixon are considered to be below average. John Tyler, Zachary Taylor, Millard Fillmore, Franklin Pierce, and James Buchanan are often considered to be among the worst because they failed to prevent the growth of the slavery which resulted in the Civil War. Andrew Johnson is often ranked among the worst because he was against the Reconstruction. 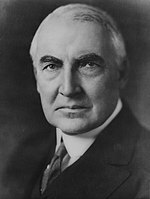 Warren G. Harding is often considered to be the worst because he hired corrupt friends to become government officials. Both historian polls and popular opinion polls consider George W. Bush among the worst U.S. presidents, although some would argue that it is too early to rank him because his term ended recently in 2009. William Henry Harrison and James Garfield are often not ranked because they both died shortly after becoming presidents. When they are included, they are usually low in the list. Also, Donald Trump is not ranked because his presidency has not ended yet. For the same reason, George W. Bush and Barack Obama are not ranked in some polls because their presidencies ended less than ten years ago. This page was last changed on 4 September 2018, at 19:52.